Somehow I managed to pack my beauty products for a month all into a few toiletry and cosmetic bags but I tried to be good. In the perfect world I would take 6 foundations, 20 lipsticks, 5 suncreams (all in different factors), 2 hair masks and so much more just so I had options. However sadly that wasn’t an option so somethings did get left behind. Not because I don’t love them and didn’t want to take them but simply because I was trying to be good, not pack too much and somethings simply came in packaging and bottles that are too big and heavy! Soap & Glory Smoothie Star Body Butter, £10.50 I used this all of last summer meaning the scent reminds me of summer however I’ve had to settle for only after suns as they’re more essential and they’ll do what this can do and more but sadly won’t smell quite as good. Chanel Vitalumiere Foundation, £36 I decided this was going to be my summer foundation however I realised that this bottle was pretty much finished and after looking through my foundation drawer I also noticed that I couldn’t justify buying yet another foundation. I’ve packed a few other favourites instead but you’ll have to come back further into my holiday to find out which ones. Hugo Boss Ma Vie Pour Femme, £50 This would have been a perfect everyday perfume but I simply couldn’t give up the other one I chose and I’m trying to be good and not take 4 perfumes (because 3 is so much better!) If you are looking for a nice great summer day perfume this is my most recent favourite discovery. L’Occitane Tonic Body Oil, £35 I’m sure this would have been the perfect oil to hydrate and also give a nice sheen to my skin but I packed so many clothes that I had to leave this out. I love the pump which makes it easy to apply but the packaging isn’t the lightest. Jurlique Rosewater Facial Spray, £21.50 I’ve raved about this lots over the last few weeks but if this was a little smaller and lighter it would have been the first product in my skincare bag. Aussie Beach Mate, £4.99 I’ll probably regret not packing this as a 3 minute mask is the perfect amount of time to help give sun drenched hair a little TLC but once again it’s a little on the large side so I’ve chosen to pack sample sizes. 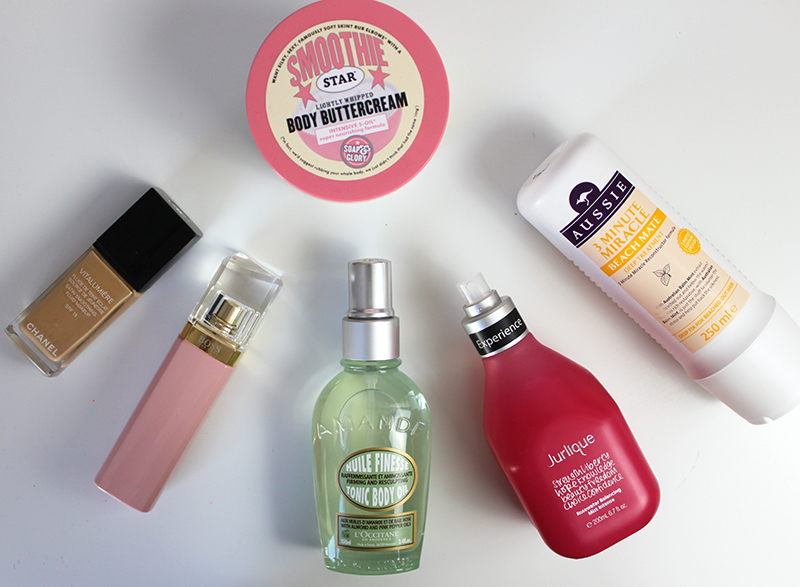 What product do you wish you could take on holiday but aren’t the most travel friendly? 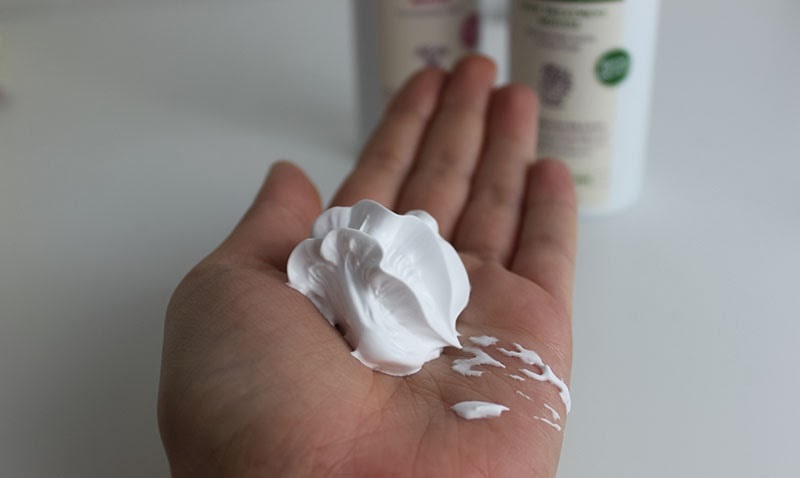 Aussie 3 Minute Miracle is a favourite in most house holds as it’s the perfect product for those of us that want shiny, healthy hair but don’t have 10 minutes 3 times a week for another hair mask. Aussie have released a 3 Minute Miracle Light Deep Treatment Mousse perfect for finer hair that although lacks hydrations doesn’t want to be weighed down. 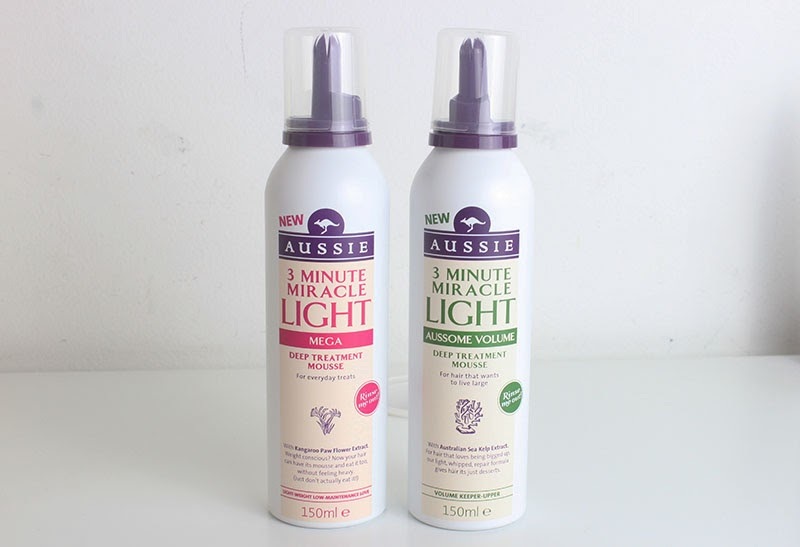 The Aussie 3 Minute Miracle Light Deep Treatment Mousse comes in two variations: Light Aussome Volume and Light Mega which are both deep conditioning mousses and which you wash out after 3 minutes post shampoo and condition. I’m often a little scared of deep conditioners (and normal conditioners) but as this is designed for fine hair and doesn’t weigh the hair down it is perfect. Are you a bit of a conditioner-phobe? What is your favourite Aussie products? Australia day is just around the corner, taking place on Sunday 26th January. 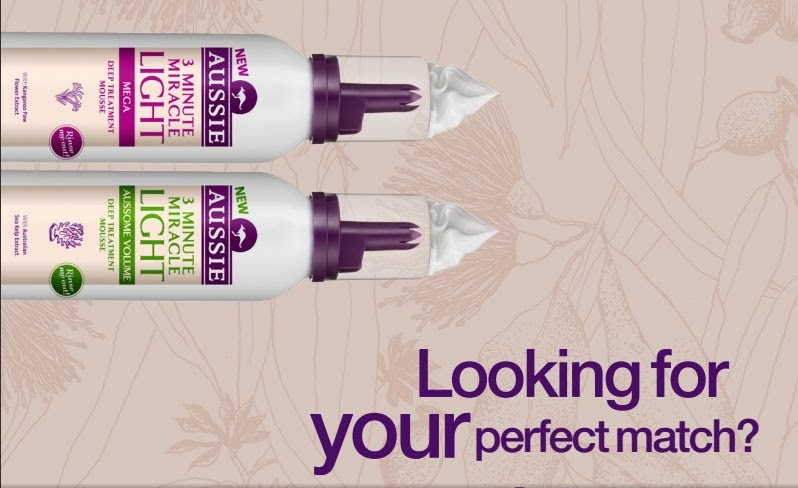 Aussie is here to help everyone and anyone that needs some tips and tricks to get their hair party hair ready especially with their new 3 Minute Miracle Mousse (which I’ve heard is amazing). Aussie Hair (@Aussie_Hair_UK) will be hosting a twitter party this Friday lunchtime (24th January) at 12.30 with Beautyandthediry and The Sunday Girl. The Aussie Hair Care expert Liz Taw will be on hand to answer party hair questions and they will also be giving away 10 sets of two products for those taking parts. To get involved and join the party simply tweet your comment over to @Aussie_Hair_UK on Friday (12.30-1.30) with the hashtag #Aussieparty. Not going to an Australia day party? Come along anyway, find out how to get your hair ready for valentine’s day or any other parties you may have coming up. What are your plans for Australia Day? What is your favourite Aussie product? 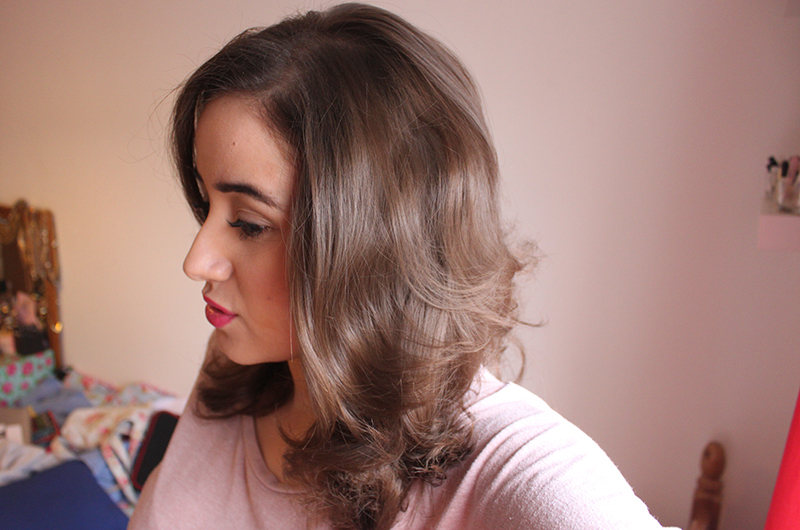 Cast your mind back a month or so, you may remember me talking about the new Miracle Shine Range and that I was going to give it a go. Well four weeks on and I have used no other shampoo other than the Aussie Miracle shine as well as the conditioner and mask. 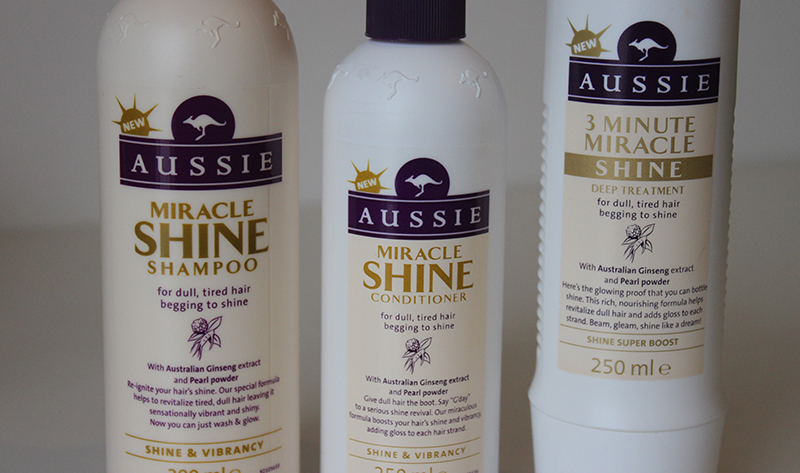 Aussie Miracle Shine claims to revitalise hair and leave it shiner and vibrant as it has Ginseng Extract and Pearl powder. After two weeks I realised I had far less shampoo left than I expected (even if I do wash my hair daily) and that’s when my mum informed me that she too had been using my shampoo. 2 more weeks on and we have repurchased two more bottles (which were on offer!) This is a big step for my mother, She never changes her hair, never uses any other products and most definitely never starts using my shampoo (I always try to convince her) but this time round she saw that my hair looked so healthy and shiny that she couldn’t resist. It has now become her shampoo of choice, I am very surprised by her decision to change! I found that my hair is now far easier to brush and less knotty which I think is due to the great conditioner and 3minute mask. Most importantly to me, it doesn’t weigh my hair down which is the main reason I don’t usually use masks. Although as a beauty blogger I do try a lot of shampoo’s I think this will be on my bathroom shelf for a little while longer and the Deep Treatment may never leave it again. What is your favourite Aussie range?